Hafa Adai! Welcome to the village of Agana Height ! 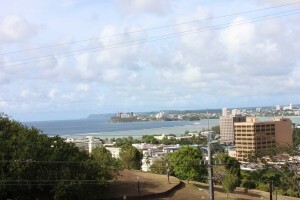 Agana Heights Guam sits just above the capital city of Hagatna. 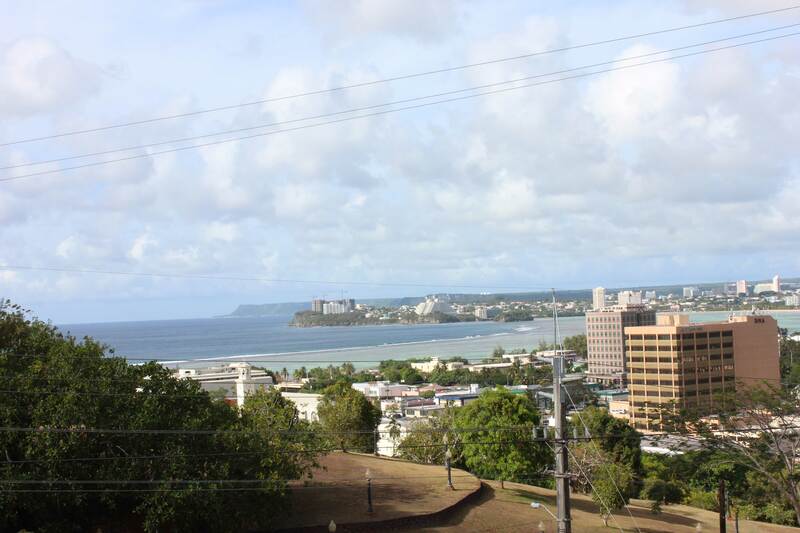 Agana Heights is situated not too far away from most downtown areas on the island. It is home to Guam’s top leader and the part of the US military base. The village is largely residential. The US Naval Hospital is in Agana Heights. 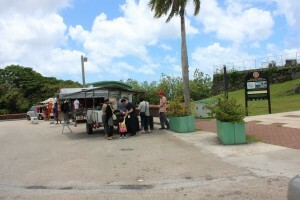 The base is situated on a cliff that overlooks that capital of Guam. The Department of Defense Education Activity’s island wide high school, Guam High, is also located on the base. The high school is complete with its own gym, baseball field, pool, and track field. There is a limited number of military housings offered on the base. And for the convenience of military members, there is a gas station and mini shop. Down the road from Naval Hospital is the Governors House. The house is also situated on the side of the hill. The Office of Homeland Security/Civil Defense is also located next door to the Governor’s House. Beside the office of Homeland Security, is Fort Agueda. Fort Agueda is a historical park with an overlook area that outlooks the Philippine Sea and most of northern Guam. There are a few cannons that are still there today that date back to the late 1700s. Many sky watchers make their way to the lookout at night because it is dark; the lookout is a great place to lay back and watch the stars shoot across the night sky, or just enjoy the city lights down below. A few are brave enough to go ghost hunting. Fonte River is the border of Agana heights and Maina. The bridge across the river is the topic of a local ghost story about the “White Lady”. Legend has it that the lady only appears when a young boy is around. They say she haunts the bridge waiting for her son who had gone missing in the river come back into her arms and that she may not rest until she finds him. At Fort Agueda, there is a Taotaomona tree that is placed in the middle of the park. A local legend says that the ancient Chamorro spirits, also called Taotaomona’s, reside in these trees and haunt whoever disturbs them. Agana Heights sure won’t let you down. Its location is nothing short of a five minute drive to the capital of Guam, Hagtana. There are many things to do and see. It is an island beauty for you and the entire family.